Come and stand around our giant cauldron, to create a enormous bowl of slime! 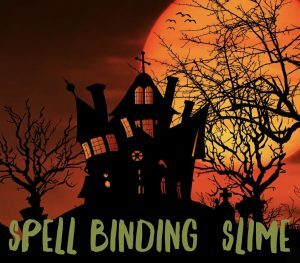 Collaborate with other witch and wizards to make glow in the dark slime filled with gruesome features! This is like no other slime class you will ever have attended! Our unique Potions, Brews & Elixir’s come straight from a witch & wizard academy.